When the industrial hemp industry began in Colorado in 2014 many farmers didn't have anywhere to buy seed. European and Canadian hemp varieties were imported for study through the Colorado Department of Agriculture. Research into hemp varieties suited for the Colorado climate is still ongoing and finding reliable seed is often difficult. This reason, as well as the cost to grow and harvest, is why so many other supplement companies import their raw hemp material. However, when they import the material, there is no oversight to how it's grown, what the variety is, and the hemp material, also known as paste, is often a waste product of the fiber or seed oil industry. Here at CW, we aren't ok with importing mystery plants or buying seed from unreliable sources. Our company was founded because we had a unique, special variety of hemp that showed promise for so many. Our company started from our own proprietary seed bank, from which Charlotte's Web Hemp was born. We have oversight over every plant, on every farm, from seed to harvest and beyond. Not only that, but our plants have been expertly developed to have the richest phytochemical profile we know of anywhere and are grown with the intention of becoming a healthy dietary supplement. So where exactly did our seed come from? We generate our own seed every year, again ensuring optimal phytochemical profile and plant health. Some of our varieties were grandfathered into the hemp program in 2014. How were the hemp genetics for Charlotte's Web created? The parent lines and our main production hemp variety often referred to as "Charlotte's Web," were developed by The Stanley Brothers many, many years ago from the seed bank the Stanley's had collected over the years. Most of these seeds have domestic origins and are adapted for the Colorado climate. These plants are rigorously maintained and analyzed to ensure a consistent end product. We have never released these seeds or these varieties. When customers purchase Charlotte's Web, they can be confident they are getting the same product, and same unique variety, in every bottle. Wouldn't it be awful to find a product that finally works for you and then having that product be entirely different the next time you buy it? We think so, that's why we are so stringent about our consistency and quality, so every bottle is the same, time after time, year after year. It took many years of cross-pollination to generate CW. We have always used natural breeding techniques and select plants with the best phytochemical profiles, health, and yield. 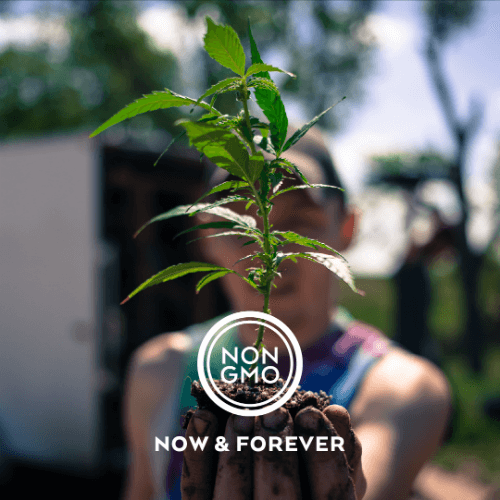 We can assure you that our hemp lines are not, and will never be, GMO. Just good old fashioned breeding techniques, selection of the best, and love! GMO crops, while becoming more common, are actually very difficult to make. On average, if the crop is already developed and there is much scientific data already available, it takes 13 years, and several PhDs to develop a new GMO variety. The average cost to research and drive a GMO plant to market is well over $100 million. Mandatory registrations and licensing of these crops can sometimes double that cost. This is why only large companies that have an immense global reach develop GMOs and focus on crops that dominate in production to recoup costs and make a profit. Typically, these crops are maize (corn), soybean, cotton, alfalfa, canola, and sugar beet. To our knowledge, there are no varieties of hemp anywhere that are GMO. For us to generate a GMO crop with little funding in 2 years would be impossible! Not only that, but we have absolutely no desire to do so. Because of our company principles — Science, Nature, Family — we don’t spend millions of dollars to inserting foreign genes into our proprietary hemp lines. Our plants are grown for natural, healthy living, and to us, that means growing them in sustainable and environmentally friendly ways. We think our pure, natural hemp varieties are special enough just as they are.